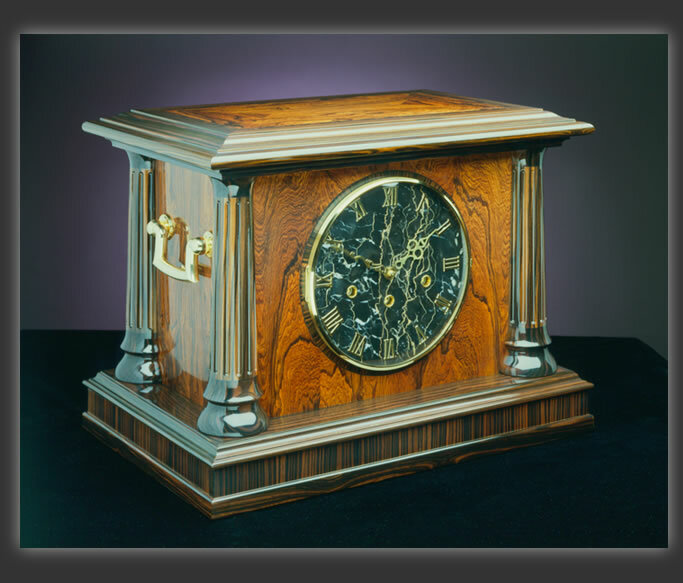 This was built from scratch from Honduran Rosewood, Macassar Ebony, Sicilian Portoforo marble and curved glass. The pulls and knockers were machined from a solid blocks of brass by Ron Bement. I can tell you that the principles and disciplines involved in making this piece were no different than what are utilized in doing my current imagery. Only the media, the tools and their characteristics have changed (though I confess the changes were significant). 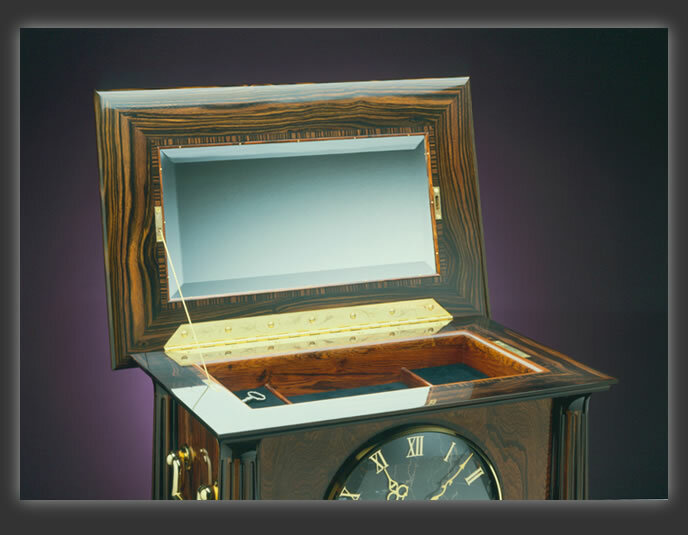 The clock also featured an interior jewelry chest with a beveled mirror, a solid brass hinge hand engraved by Mitch Moschetti, a sliding cable lid stay and a lock. Lined with velvet, it housed a German triple chime clock movement. Complete with a complicated secret compartment, every aspect of the clock and its construction was recorded on small sheets of parchment paper with hand caligraphy and hand bound into a fine goat skin mini-book complete with red ribbon marker by my mother, Cary Peck. That was stored under the removable bottom.